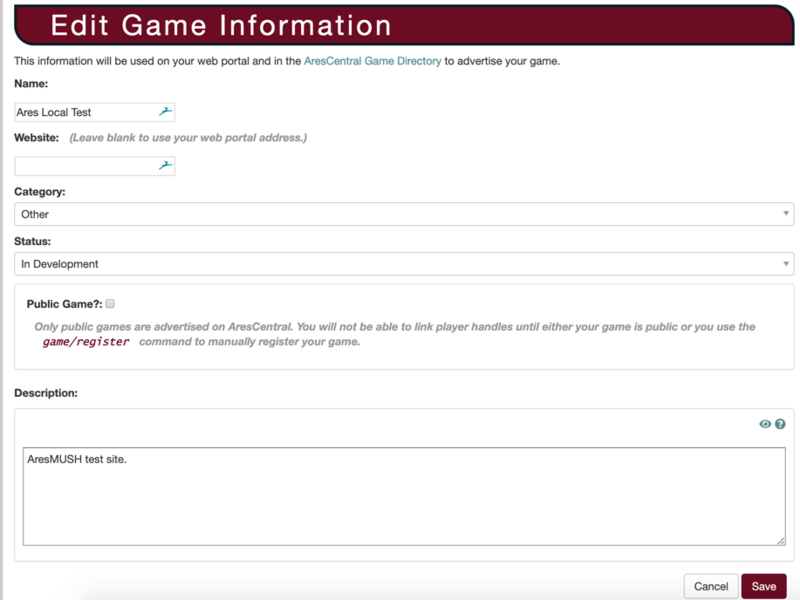 AresMUSH features a fully-integrated Web Portal that allows you to interact with the game from a web browser. Far from just a telnet window embedded in the browser, the Web Portal offers a rich experience and can fully replace (and enhance!) traditional game wikis. Here are just a few of the features the Web Portal provides. For a visual guide to these features, you can check out the “Playing from the Web Portal” screencast from the MUSH 101 Tutorial. 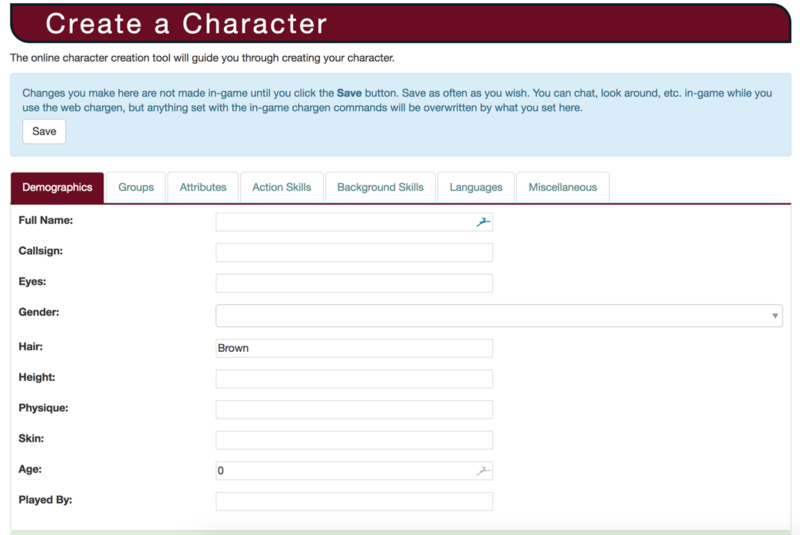 Through the Web Portal, you can create your character with a few clicks of the mouse. The web chargen provides feedback for common issues as you go, and easy links to all the information you’ll need. 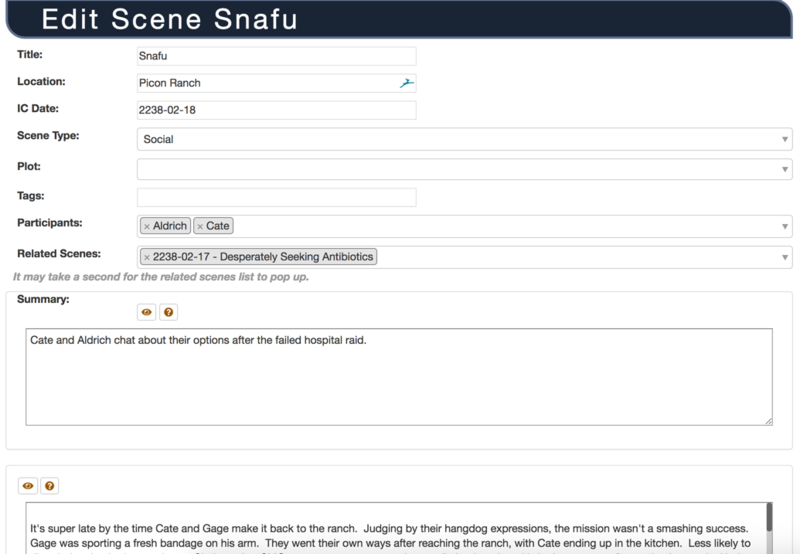 The game can automatically capture scene logs - stripped of OOC spam but including rolls and combat messages - and easily share them to the Web Portal. You can search and filter logs, and the portal will automatially generate log icons based on profile images. 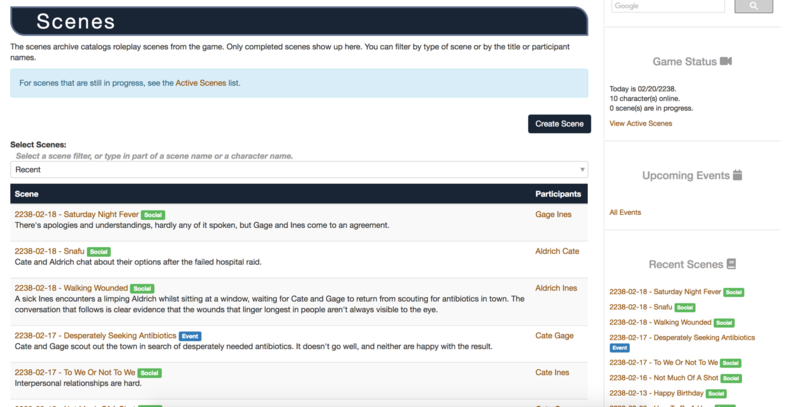 You can participate in active scenes directly from the scene page. There’s no special client code that might be blocked by firewalls - it’s just a regular web page. 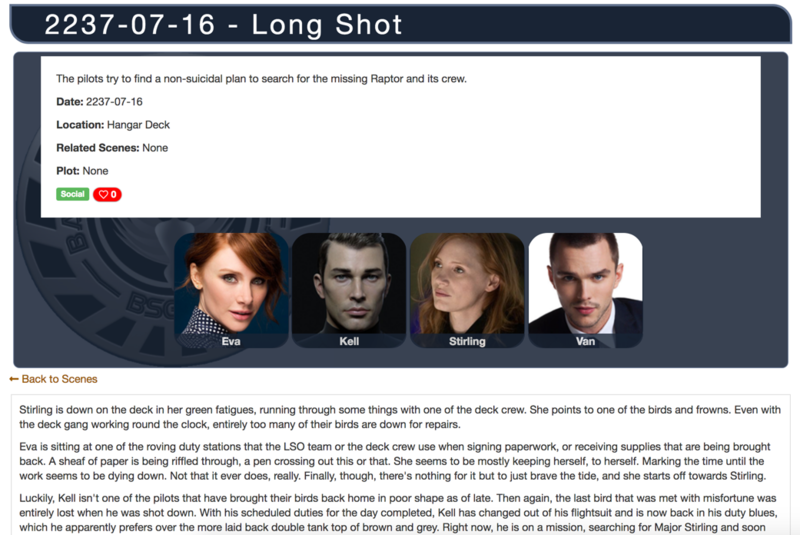 This can serve as a substitute for offline Google Docs style RP or extended scenes. The Web Portal also offers a dedicated web client. You can connect to your character and issue game commands just as you would from your MUSH client. It’s not very fancy, but it does provide an automatic keepalive and dual input windows. With the Ares scene code, scenes are logged to the game itself, so you don’t need to worry about logging. 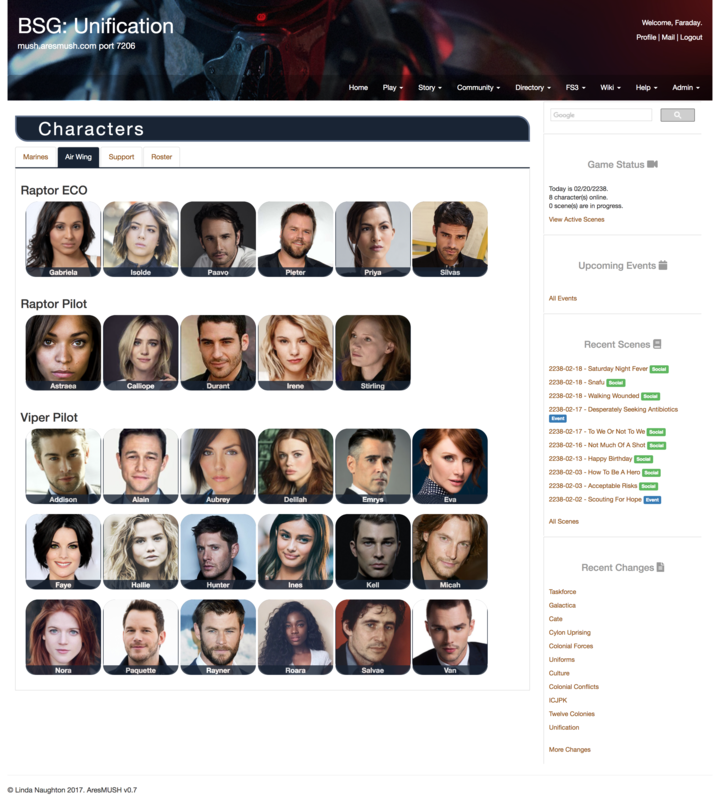 Dynamic page, scene and character lists. 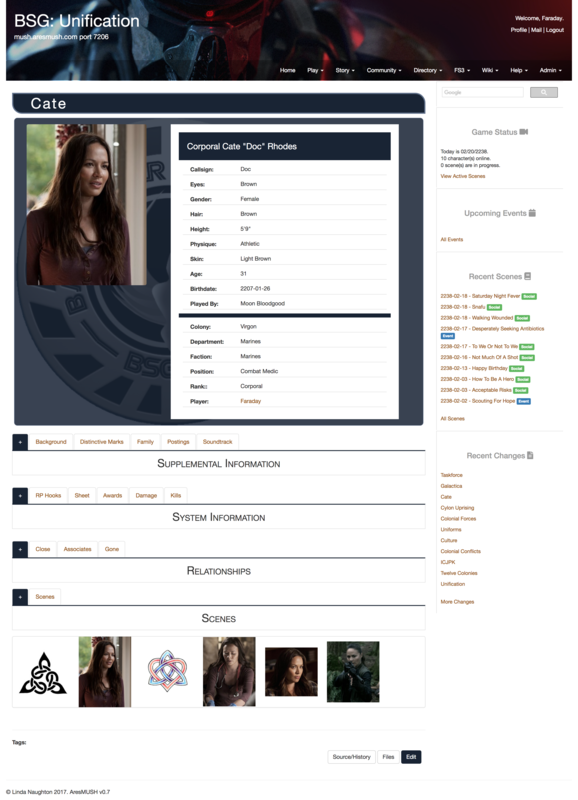 Web portal character profiles draw their information directly from the game, so your data is always in sync. No more needing to update your wiki page just because your character got promoted or had a birthday. 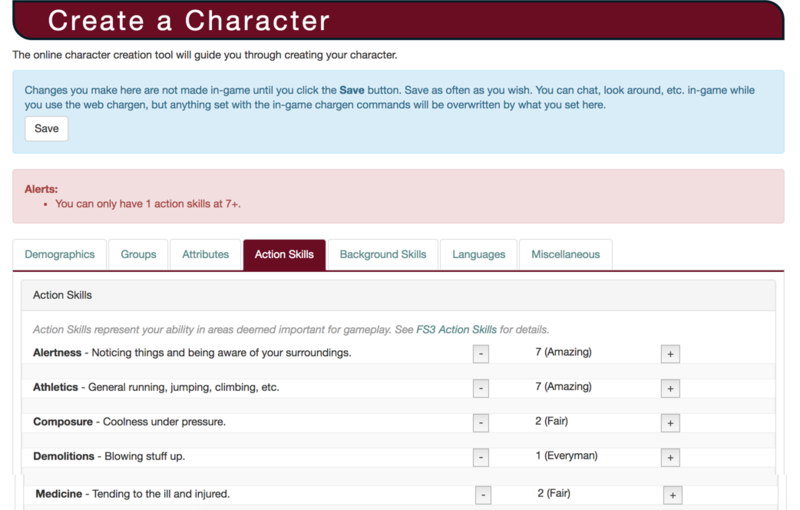 Straightforward data entry fields mean you can edit your character’s profile without needing to learn a bunch of complex wiki code. 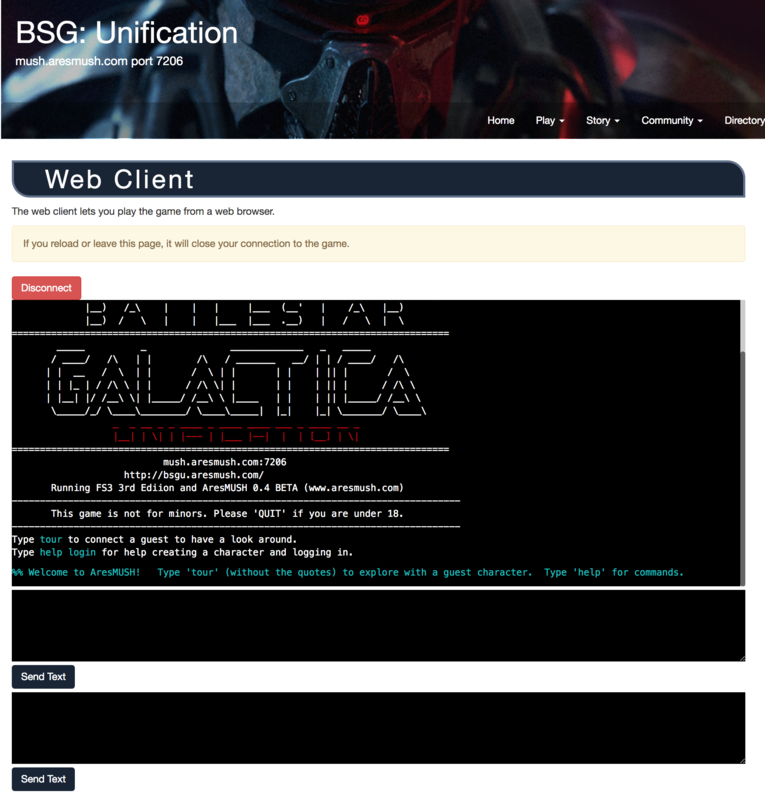 The Web Portal helps you connect with the game’s community even when you can’t get to your MUSH client. 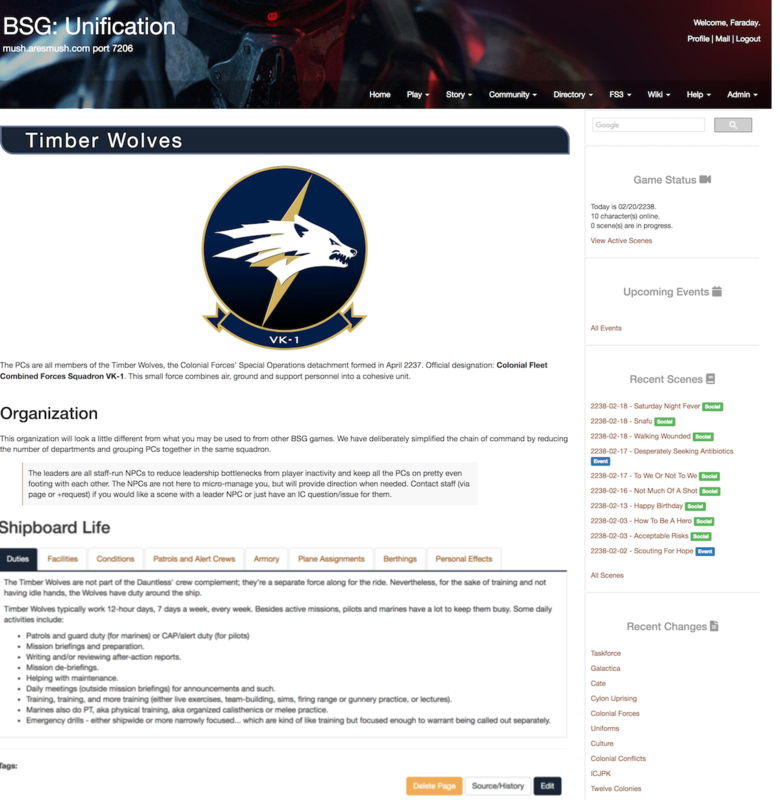 You can read and respond to forum posts, read and send mail, access chat channels, and view upcoming events. The events calendar provides an iCal feed so you can see game events on your phone or in your favorite calendar application. 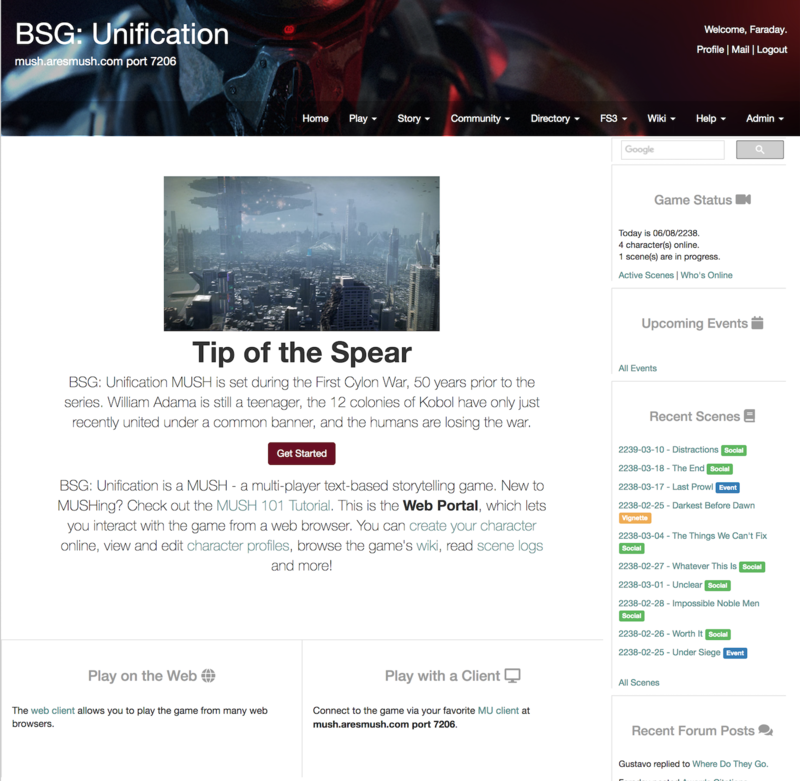 For game admins, the Web Portal allows you to view logs and perform basic game management tasks. 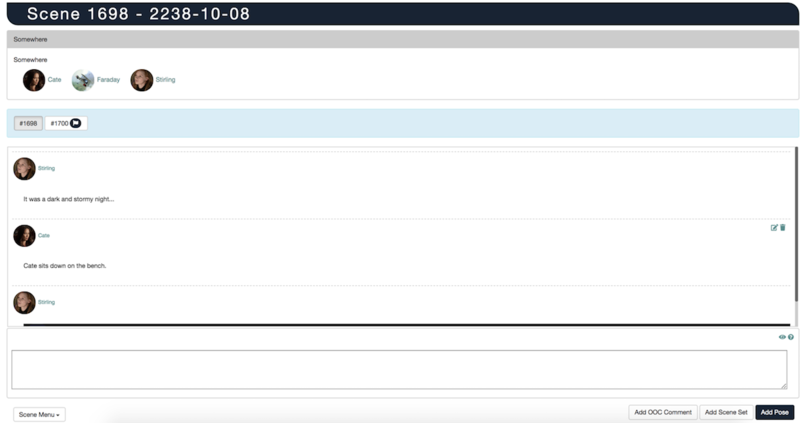 You can edit configuration settings without any prior code experience. 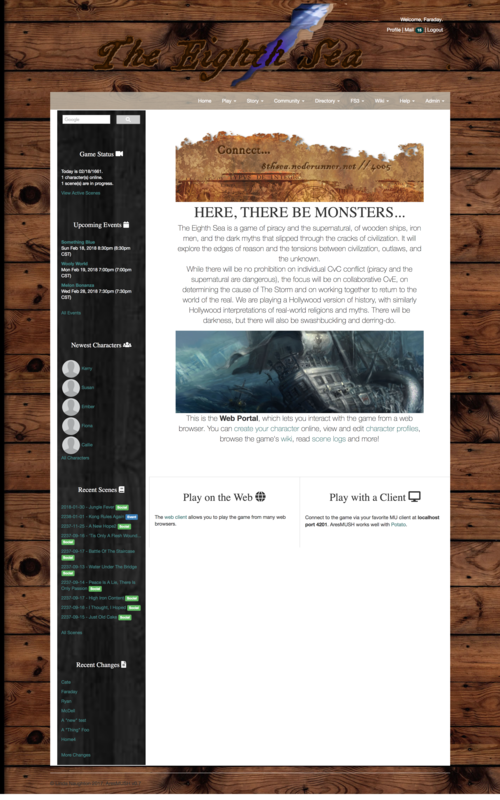 Games have a great deal of control over the styling of the Web Portal. You can change the colors and backgrounds just by editing a list of color codes and uploading new images. Advanced styling can help you make your portal as distinct as you choose.